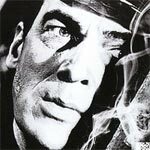 The Universal Classic Monsters: Complete 30-Film Collection is one hell of a set from the studio, particularly for folks who didn’t already pick up the Legacy Collection sets, and just in time for Halloween. An interesting collaboration with producer Roger Corman and a young Martin Scorsese (subsequent films would define his career from Mean Streets to Raging Bull) and while the direction is solid, the performances are what makes Boxcar Bertha memorable, headlined by the David Carradine. Man Hunt is a very well made thriller, with some of that 1940s war propaganda, with some solid performances by Walter Pidgeon, Joan Bennett and George Sanders, a great score from Alfred Newman and impressive cinematography. The Blu-ray released by Twilight Time falters some in the features department but the video and audio transfers are both well done.